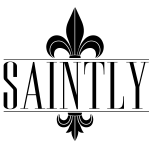 Steeped in New York City heritage, Saintly’s NYC hand-production studios achieve the beautiful designs, exacting specifications, and tremendous build quality you would expect of a world class brand from such a world class city. The All-American is the first ever fully-customizable leather weekender. With options ranging in size, shoe and laptop pockets, leather, lining, hardware, and much more, you can design this gorgeous bag even more unique to your lifestyle. With our production studio based right in the heart of New York City’s Fashion District, each All-American weekender bag is hand-made to your exact design and our exacting specifications. No detail is over-looked, no stitch is gone wrong.